One of the most fascinating things about watchmaking is how each country adds its own personal stylistic stamp to the horological tradition. In celebration of such regional differences, Gevril Group will showcase five diverse brands of watches at Baselworld 2012. Collectively, these brands focus on the watchmaking traditions of four different countries, opening a whole new world of possibilities for watch aficionados everywhere. Johan Eric takes the best traditions of Danish Modern design and updates them for the 21st Century. These fine timepieces feature slim, contemporary lines, outstanding craftsmanship and great value. By combining the aesthetics of modern Danish design with high-tech manufacturing techniques like vacuum ion plating and new materials like carbon fiber, ceramic, and stainless steel, Johan Eric has managed to create exciting new styles that are uniquely suited for today’s world. Giulio Romano pays homage to Italy’s long tradition of imagination and creativity. From early Renaissance painters and sculptors to today’s hottest fashions, Italian designers have always managed to capture the emotion and drama that sets trends and inspires others. Giulio Romano embodies the best of this Italian tradition with a collection of fine timepieces that employ the playful use of color and imaginative new materials to create some of today’s most striking fashion statements. Rüdiger celebrates Germany’s rich watchmaking history. In Germany, watchmakers have a reputation for superb engineering and impeccable craftsmanship. It is no surprise that German watches are characterized by their durability and precise tolerances. Rüdiger timepieces, each named after a different city in Germany, bring modern manufacturing techniques and movements to the straightforward clean lines that have long been associated with German design. The result is affordable and authentic designs that are meant to be worn every day. GV2 and Calibre bring Switzerland’s illustrious watchmaking heritage to a whole new audience. These youthful, trendy brands combine genuine Swiss movements with innovative new styles, designed for today’s active lifestyles. GV2 watches are available in a wide variety of fashion-forward styles for both men and women, and Calibre brings the proud tradition of Swiss military watchmaking and functional design to a new and younger audience. Please make plans now to join us at Baselworld 2012 this March in Hall 5.0, Booth C-25 to preview these exciting new brands. 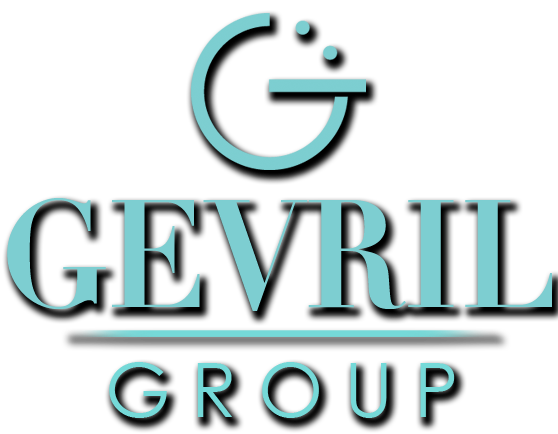 To set up a meeting, speak to your Gevril Group representative or contact Michela Bonincontri by email or at 845-425-9882.